An element mostly associated with pennies and the Statue of Liberty, copper is far more than a shiny metal with a pleasant-looking patina. Copper is also essential to human health. While there are many benefits of copper when it comes to health, it’s important to separate fact from fiction. Some of the claims regarding the powers of copper to keep us protected from illness and treated for ailments are unproven in their efficacy. The most interesting and intriguing health benefit of copper is its antimicrobial properties. The reason most door knobs were traditionally made of the copper alloy known as brass, particularly in the construction of hospitals and other medical centers, was due to its natural role as a backstop against the spread of bacterial, fungal, and viral infections. Flash forward to the modern era, and copper continues to serve as a vital source of antimicrobial protection for products big and small. A copper-infused memory foam mattress helps to prevent the build-up of germs found thriving within the weaving of your typical bed. Shoe insoles containing copper have a similar effect in eliminating odor-causing bacteria and fungi. There is a growing push to expand the use of copper in hospitals and other healthcare facilities to include work surfaces, patient areas, and even instruments. This change would greatly cut down on the number of people exposed to infectious disease in the very place they have sought in order to achieve healing and wellness. While copper is deadly to many microorganisms, it’s an essential trace element in virtually all other forms of life on Earth. Simply put, humans, animals, and plants need copper to live. The role of copper in the healthy function of a human body includes the formation of red blood cells, absorption of iron, strengthening muscles, and supporting a healthy immune system. Copper even plays a role in fat metabolism and therefore influences a person’s ability to gain or lose weight. All this adds up to the need for humans to have a sufficient supply of copper-rich foods in their diets. Certain types of seafood, legumes, and mushrooms contain the right volume of copper for healthy human consumption. Like many other elements essential for life, too much copper can be a bad thing. The importance of copper for, our health doesn’t mean we should be shaving penny flakes into our smoothies. Copper toxicity is not only dangerous, but it’s also potentially deadly. Furthermore, copper doesn’t possess any magical healing properties, no matter what the testimonials say on late-night television. Bracelets, wristbands, and knees straps containing copper might provide pain relief for some people, but there’s no evidence suggesting this is anything other than the placebo effect. Copper is more than the metal traditionally used in the minting of coin and construction of colossi. It’s an element essential to maintaining and protecting human life. 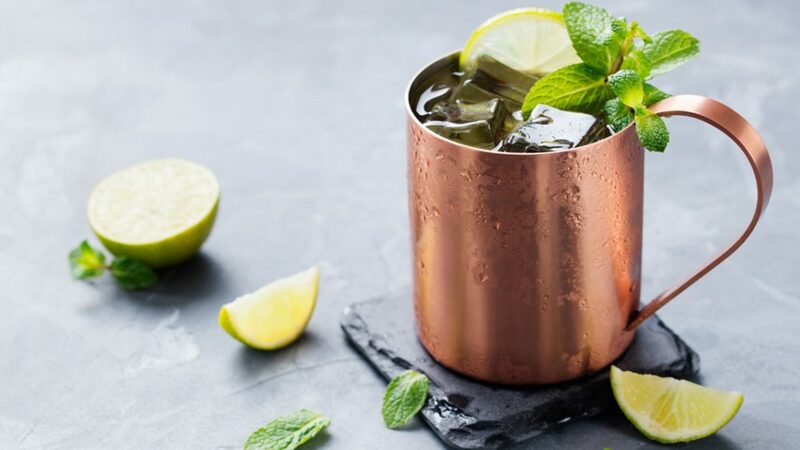 So the next time you’re handed a penny back in change or look towards Lady Liberty, just remember how copper plays a vital role in your health and wellbeing.